Through more than a decade of marriage, Mr. TBG has realised that when I twitch with sore muscles or cry over a strained back it’s more conducive to call the spa before summoning a doctor. 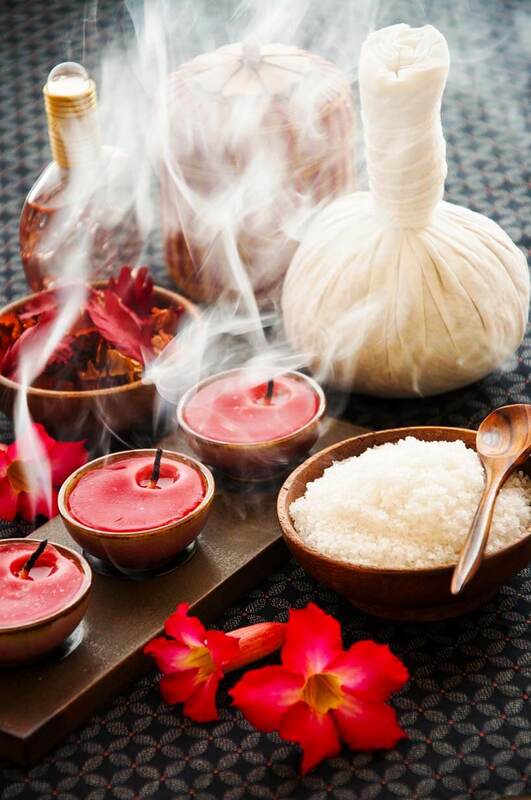 But I am not alone in my belief of massage before medicine: Hot herbal pouches have travelled a long way since their origins in Ayurveda more than 6,000 years ago. Today, besides being a staple on luxe spa menus worldwide, they are also called upon by physicians, physiotherapists, dermatologists and even psychiatrists for everything from stress to muscular pains and the flu. And because I am blessed with going through life in the most accident-prone manner, we have now learnt to stock up on a “first aid kit” of herbs and spices to brew up our own heat therapies right at home. A hot herbal pouch is made by wrapping specific herbs, spices and flowers in natural cloth like a “dumpling” and then heating it to your preferred temperature (hot but bearable – don’t burn your skin!). Even though you can simply pop them into a microwave for 90 seconds, prepping them the old fashioned way – with steam – is more beneficial as it softens the compresses, releases the essential oils and intensifies the aroma. Prep two herbal compresses for a session, keeping one heating on the steamer while using the other. Then massage all over your body, paying special attention to problem areas. I don’t think there is a more perfect place to experience the indulgence of a hot herbal pouch than Wat Pho – the Temple of the Reclining Buddha – in Bangkok. In the past, only trained monks were allowed to practise treatments and prescribe medicines, so this ancient legacy dates back to the 14th century. Method: Mix all ingredients together, wrap in the cloth and roll up into a tight pouch; tie tightly with string. In ancient Laos, local herbs and plants were fashioned into compresses made from indigo-coloured fabric. Indigo is the spiritual color of Eastern medicine and is believed to enhance the detoxification process. 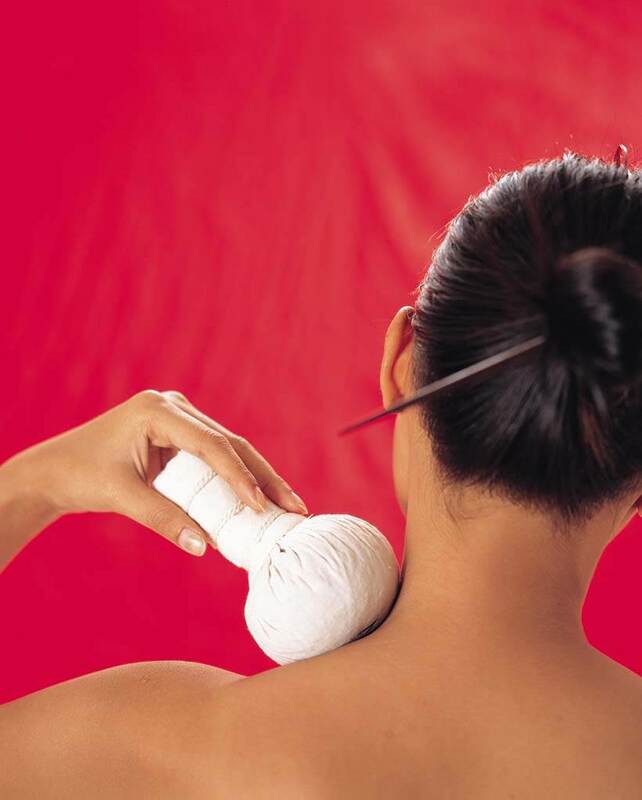 Today, the color is optional but the treatment remains identical: Steaming herbal compresses thoroughly pounded over the body to relieve pain and fatigue, especially after playing a sport or doing hard physical work. 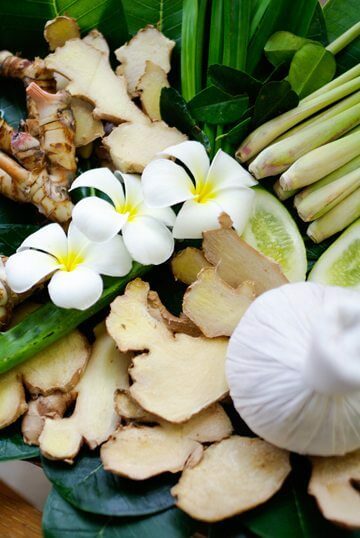 Jamu – the signature wellness therapy in Bali – is centred around the Boreh herbal compresses that are called upon to reduce muscular pains, improve blood circulation, relieve rheumatic symptoms and leave you with a warm, relaxed feeling. Inspired by the ancient rituals of Indonesia, these hot herbal pouches use medicinal herbs to restore physical and emotional balance. They are massaged over the body in circular strokes to stimulate circulation and reduce fatigue, insomnia and hypertension. Added bonus: Cooked rice softens the skin. Method: Cook the rice and leave to cool. Add all other ingredients to a cup of water, bring to a boil and simmer for 10 minutes. Remove from heat, cool and strain. Mix the rice with the strained mixture, heap onto the cloth and fashion into a tight pouch. Method: Combine ingredients and pour into a sock (though personally, I think a fabric pouch is much more attractive). Knot the end, put into the other sock, knot again. Camphor: Has a strong antiseptic, analgesic and anti-inflammatory effect. It also stimulates the brain, heart and blood circulation. Besides this, it helps to ease stress, anxiety, depression and insomnia. Cardamom: Has a spicy, exotic floral aroma and is a terrific pain reliever. Cloves: Also good for treating chronic pain. Elderberry flowers: Help rid the body of toxins, increases circulation and purifies the blood. Ginger: Eliminate wastes and congestion, enhances circulation and acts as a catalyst for other herbs to increase their effectiveness. Kaffir lime: A potent antioxidant, it’s called upon to banish colds and congestion, boost digestion and regulate blood pressure. Lemongrass: Works as an anti-inflammatory, while also boosting digestion, releasing tension, curing colds and treating skin infections. Mint: Calms the stomach, intestinal tract and the nervous system while cleansing the skin. Myrrh: Highly favoured for soothing muscles and wounds, while also detoxifying the mucous membranes. Tamarind: Has an antiseptic and blood purifying effect. It is used for constipation, colds and fever, as well as skin cleansing and refining. Turmeric: Has antiseptic, antibacterial and antifungal properties. It is also used for relieving pain and has an anti-inflammatory effect. Before putting a hot herbal compress on the skin, test the temperature by pressing it against your arm. Don’t rest the hot herbal compress on one area of the skin for too long – just touch, press firmly, lift and move in a constant and rapid motion. Each session should take 15-20 minutes. Do not use essential oils. Most essential oils have a low flash point, so they will burn away rapidly when you heat the pouch. Not only does this make the pouch more flammable, it also means its scent will fade very quickly. These hot herbal pouches can be used 3-4 times when dried completely. Store in the refrigerator after every use. Discard when the ball becomes very pale – or almost white – as this indicates that the herbs have lost their potency. Have you ever tried a hot herbal pouch?